Today I’m sharing a caramel frosting recipe with you. My main character in my Shandra Higheagle Mystery series loves caramel. And who doesn’t! My grandmother always made this frosting for her applesauce cakes. In a medium saucepan, combine the brown sugar, milk, and butter. Cook over moderate heat, whisking constantly, until the mixture comes to a boil. Cook for 2 minutes, whisking constantly. Remove from the heat. Transfer to a large bowl; let stand for 1 hour or until the mixture cools to room temperature. With an electric mixer on medium, gradually add the powdered sugar, beating until the frosting is smooth and of spreading consistency. Use the frosting immediately. It sets up hard. Makes 1 ½ cups of frosting or enough to frost the top of a 13” x 9” x 2” cake. 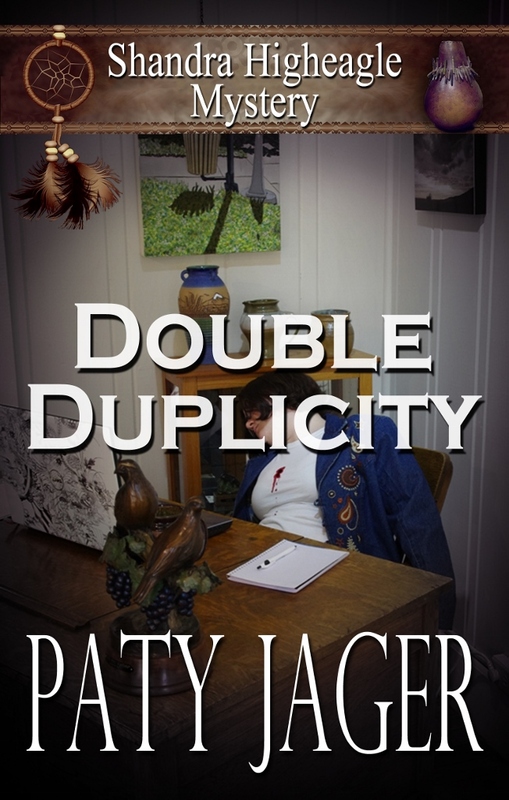 The first book of my Shandra Higheagle Mystery series, Double Duplicity, is free. You can check out all the Shandra Higheagle books here. And find out more about me at the links below. Thank you Paty, I appreciate you dropping by and sharing with us. This recipe sounds great. My mother in law makes something similar. It's my husband's favorite cake. I'll have to see if I can make this recipe his new favorite. Thanks Paty for sharing the frosting recipe. I love trying new recipes. You did a great job on your video. HI Melissa! Thanks for stopping in. This recipe has been made in my family since I can remember. Hi Judy! You're welcome. I had a friend run the camera for me. It was fun and scary at the same time. LOL Thanks for stopping in! Sounds yummy!! Thanks for sharing!! I read your first Shandra Higheagle book it was really good! Hi Diana, Thanks for stopping by! I'm glad you enjoyed Double Duplicity. HI Trish. The recipe is good! Thanks for dropping by. Thanks everyone for dropping by. It was a pleasure having Paty as guest cook at The Afterwork Cook. Thank you for having me on your blog, Mary!It was a fun new experience. I love applesauce cake and muffins. With the frosting added, it looks even more delicious! HI Madelle, this frosting is wonderful on many baked goods. Thanks for stopping by.